Prestige. It's synonymous with our alumni awards programs and the tradition they've established. 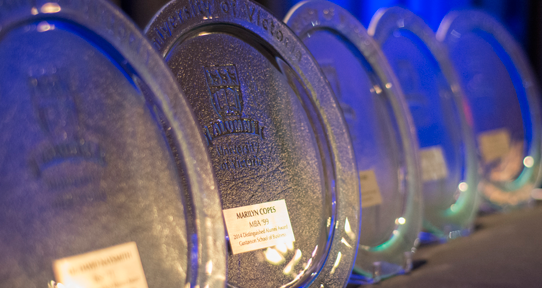 Recognizing outstanding alumni, teachers and volunteers, our awards honour leading members of the UVic community. The Distinguished Alumni Awards are presented in February during Alumni Week. The Excellence in Teaching Awards are presented in late spring. The Alumni Volunteer of the Year Award is presented each spring at the alumni association's annual general meeting.